I thought I would combine the two things I'm most interested in at the moment -and the two things I seem to write about most... Weddings and Beauty. With my wedding day getting closer and closer I wanted to share another little countdown with you that might be helpful. It's pretty common for brides to be on a health kick to get in the best shape before the day but how many take their skin care into consideration? With photographers around pretty much all day and cameras picking up every little detail these days you want to look your best. There is a great way to get started and give your skin the boost it needs. Of course rule number one is to up the hydration, come January we'll all be adding it to our New Years Resolutions but to take care of your skin you need to stick to it. Starting early is the best way to prepare. You can give yourself enough time to make it second nature. On your big day it's likely your arms are going to be on show, with the increase in shorter wedding dresses possibly even your legs too. Boost circulation with some dry body brushing once or twice a week. I swear by dry body brushing! Use long sweeping movements, always working towards the heart before showering, it helps release toxins while exfoliating. It should leave your skin a little pink afterwards (not red) and your circulation will be really improved. If your dress is strapless them don't forget the chest and shoulders, hey, give it all a scrub, it's good for you! Afterwards apply some Firming Body Cream which reduces the appearance of skin dimples and improves the skin texture and firmness. For the face try my favourite product ever, the Wild Rose Beauty Balm - it has so many uses so it's the one product I recommend to everyone! It's great for decongesting the skin and gently exfoliating while nourishing any dehydrated areas. It's won loads of awards so don't just take my word for it! Another great product for this (and a little kinder on the bank balance) is the Rose Facial Polish which smells devine! You basically want to start making sure you're giving your skin a good cleanse and get into a routine of scrubbing away impurities and dead cells. The Honey and Orange Facial Scrub gently exfoliates and really brightens the skin while toning and giving you a great base to work with. Using a face mask every couple of weeks is a lovely treat, you're bound to be stressed with the wedding plans so it's a great excuse to take some time to switch off. Pop on the White Tea Facial Mask for ten minutes and you'll notice a huge difference. - I really love it! It is so SO nourishing and the scent is really soothing. White tea is an antioxidant which helps maintain healthy skin. This mask is full of goodness such a s frankincense, evening primrose oil and aloe vera and will help with the appearance of fine lines while plumping the skin. You might want to consider taking some supplements. It's not all about what you put on your body but what you put into it too. The Beauty Boost Capsules support the underlying structures of the skin, hair and nails just by taking two a day. Of course you should make sure you're drinking plenty of water and eating well too. Applying the Beauty Sleep Concentrate each night under your moisturiser helps replenish skin while you sleep. It actually increases the skin's moisture levels by 98% over 12 hours -pretty damn impressive! Hydrated skin is happy skin! It can even be used alone in place of your usual moisturiser if you wish. 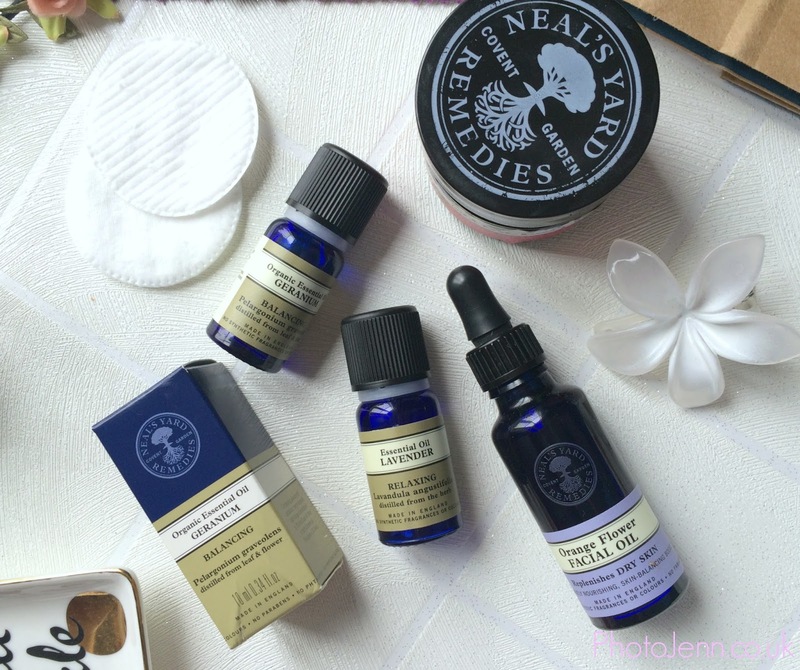 This is another one of Neal's Yard's wonder products with several awards under it's belt. Each month put aside some time for a pamper evening and give yourself a monthly facial. There's no need to visit an expensive spa when you have the products at home! and follow with the Beauty Sleep concentrate and a good moisturiser. You want to get some calm. Time is ticking, suppliers want their final payments and you have all the fiddly bits left to do. Your skin will be looking radiant after taking care of it so well over the past 3 months but the stresses might be getting to you. Take time to burn some oils, geranium oil helps with anxiety and lavender promotes a good nights sleep and is very calming. 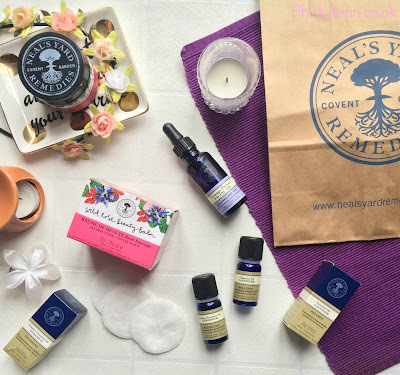 If burning oils aren't your thing you can apply Remedies to Roll Relaxation on your pulse points which is a good alternative and brilliant to have in your handbag after stressful meeting with suppliers, bridesmaids or in-laws! Up that monthly facial to a weekly facial and start to include a facial oil like the Rose Facial Oil or Orange Flower Facial Oil for drier skin. These balance moisture levels and leave the skin looking radiant. It's really nice to apply oils with a light facial massage to wind down in the evening. Also start using a serum like the Wild Rose Beauty Elixir which boosts radiance and elasticity. The moisturising hyaluronic acid and brightening turmeric really help to improve the skins appearance and work down on the layer beneath the skin we see to plump out skin and reduce lines. Make sure you use a serum under your moisturiser, this will give your make-up artist a great base to work with. Definitely drink a couple of glasses of water when getting ready, you're going to be celebrating and drinking champagne most of the day so you want to make sure you're hydrated and you don't end up with a headache by lunchtime. I absolutely love the White Tea range. The White Tea Hydrating Facial Mist is great to spritz throughout the day to keep you fresh -it's absolutely fine to use over make up and it perks you up and soothe the skin. Get one of your bridesmaids to carry a bottle in their bag for you all to use. They'll be thankful for the lovely pick me up. Yore likely to be a bag of emotions, it's an exciting yet nerve wracking day. Apply the remedies to roll relaxation to your wrists to control the nerves and keep you calm. 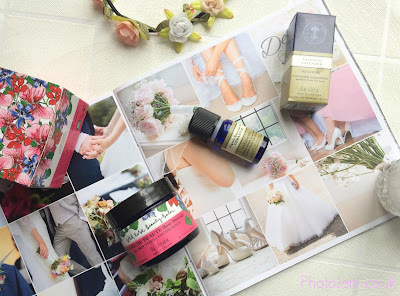 Even without a wedding to prepare for these are great ways to keep your skin healthy while using natural organic products. I'd love to hear about your favourite Neal's Yard products or if you are in the middle of your own wedding planning!